While live event streaming company Livestream attempted to make a play into the hardware business with the high end Studio HD500, the company is still focused on its core business, video streaming. It has struck up a new partnership with popular hardware streaming company Roku to have its channel supported on the mini video device. As of today, the Livestream channel is available on Roku devices, offering up a host of curated internet based media content. The content includes live and archived sporting events, concerts, Grammy and Oscar red carpets, the Times Square Ball Drop, New York Fashion Week, TEDx talks, the Sundance Film Festival and more than 60 different local news broadcasts. 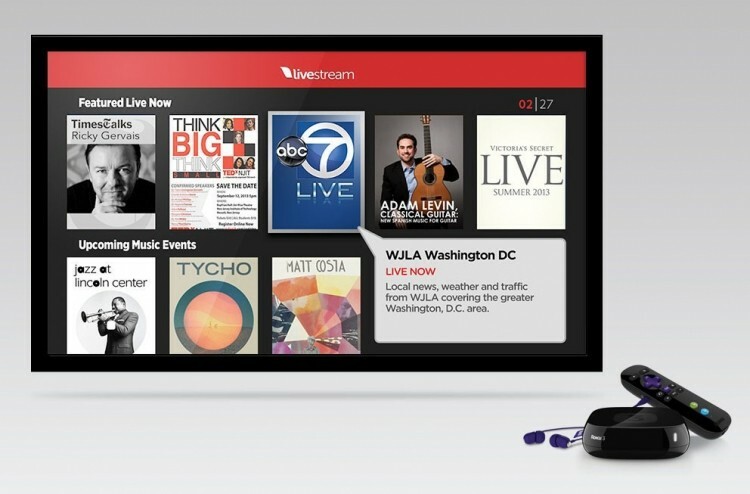 This will amount to more than 75,000 live events per month, streaming directly from the internet to your living room. "Roku was our first choice to bring Livestream from the second screen to the big screen," said Co-founder and CEO of Livestream Max Haot in today's press release. "Their affordable and innovative streaming devices enable us to broaden our reach to millions of Roku users, getting us closer to our goal to democratize live video." Livestream also mentions that this will be a major step for coordinators who want to stream live events to Roku users. “Event producers can now broadcast their events to millions of Roku viewers by streaming with Livestream’s hardware, free software or mobile app, without any further integration or app development,” according to today's announcement. In the past 4 months or so Livestream has more than doubled its audience, emerging as the largest live video platform in the U.S. by unique visitors according to Compete.com. Just last month research firm Park Associates released data putting Roku as the most popular video streaming device in the US, ahead of Apple TV.